I almost saved this movie for the Christmas season, but then my roommate pointed out that it technically takes place during the summer. And since I’m, like, the last person alive to have seen it, I was all excited to write about it after I watched it this week. So, sorry, y’all. Here is a little cold for your spring. 1. Snowmen are the best. I feel like during the trailer of Frozen, I expected Olaf to be a Jar Jar Binks, but he is totally funny! And heartwarming! I am sorry that I assumed he would be annoying. I don’t know what I was thinking, since I love snowmen so much! I keep wanting to write “snowmans” because it seems to make more sense in my idiot head. 2. True love does not happen overnight. Anna: But I want to help! Kristoff: No! I don’t trust your judgement! Kristoff: Who marries a man they just met? You probably shouldn’t get engaged to someone you have known for like two hours. Even if his name is Hans (BECAUSE HE WILL TURN OUT TO BE EVIL). 3. Don’t trust the first man who makes you feel special. I was even duped by Hans at first though, guys. Am I alone in this? 4. Bickering with someone is quite alright. So then Anna meets Kristoff and he is super standoffish (I love that) and she is the boss (I didn’t say bossy!) and they bicker and clearly love each other right away, and I love it. I love couples that start off all “we can’t stand each other” and then get all “you’re my true love.” I don’t know why, but it is so important to me. 5. The cold should never bother anyone, anyway. BAHAHAHAHAHA JUST KIDDING THE COLD TOTALLY BOTHERS ME ALL THE TIME. I am the WORST person in the world to have anywhere near cold things. Don’t get it twisted, though. I hate the heat too. I pretty much am impossible to satisfy. 6. Love experts should always come in the form of singing rock trolls. This is probably the weirdest part of the whole storyline, but for some reason, Kristoff’s family is a group of singing, dancing, rock shaped trolls. I guess the lesson should more be like “Family is family” or something, but instead I am going to focus on how Kristoff calls his “friends” and “family” love experts when they are rocks. IDK, I just think this is super weird, but also a little precious. 7. It is okay to be yourself. Kinda one of the main points of the whole movie, yeah? Elsa is locked up and taught to “conceal, don’t feel” throughout her whole life, which ruins pretty much everything in the world. Elsa and Anna’s relationship suffers greatly because Anna’s memory is erased (like in Men in Black) and she has no idea that her sister has magical powers. For obvious reasons, that shoves a huge wedge between the two of them, and after their parents pass away, Anna and Elsa really are alone. …lets it go. Which is okay! And great! 8. Some people are worth melting for. 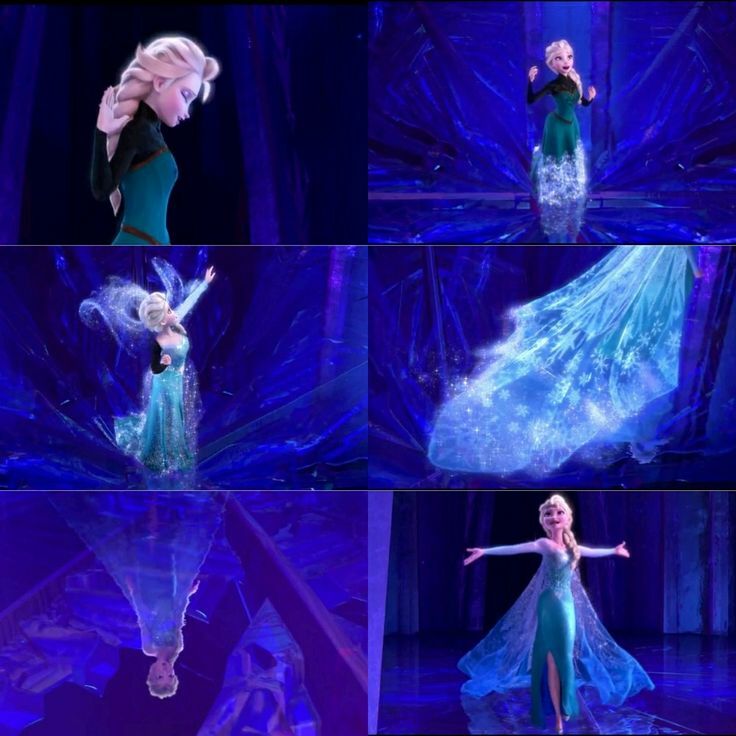 So Anna’s heart is struck with ice by accident when Elsa reacts to Anna’s attempt to help her. Slowly, Anna’s heart begins to freeze over and she will die without an act of true love to melt her frozen heart. The first thing everyone assumes Anna needs is a kiss from Hans, but obviously that ends up being totally incorrect because not only is Hans the worst person ever, but he is also not the love of her life. And in a wonderful turn for Disney, Kristoff’s kiss isn’t what Anna needs either. Anna saves Elsa’s life by throwing herself in the way of Hans’ sword, and she happens to freeze at just the right moment, sparing her sister’s life, but turning into a block of ice. But no worries, everyone. Anna thaws immediately because an act of true love occurred. Because what is true love if not between sisters? I love it. Siblings relying on each other, women saving women. It is perfect. 10. Sister Sibling love is my favorite. I don’t have sisters. I am lucky enough to have “good as” sisters, but no sisters that share the same parents as me. I do have brothers though, as I am sure we all know by now if you have ever talked to me or read anything I have ever written. And I love siblings. Siblings make the world go ’round, and I love Frozen for driving that home. Perf. PS random shout out to Sven, cause I liked him. Featured image via , Elsa GIF via deviantart, Elsa transformation via pinterest, Olaf melting image via filmaholicreviews, Anna saves Elsa image via deviantart, young Elsa and Anna image via disney.wikia.